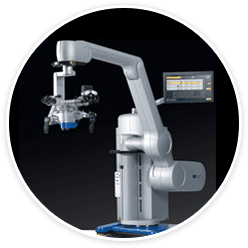 Whether your practice is Neurosurgery, Spine Surgery, ENT surgery or Ophthalmology, we have the product offering and expertise to fulfill your requirements. Consistent repeat business from our customer’s, points to our excellent service and reliability with the products we offer. Our expertise is consulting with our customers to determine exactly what they need in terms of ergonomics and system function. Tailor made for you. Tired of disengaging from your optics to look at information on monitors? 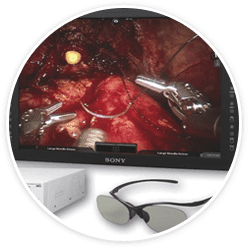 BiOpix™ is the only system in the world that takes any digital information displayed on monitors and injects onto your optical pathway as a picture-in- picture maintaining your stereopsis view. Since 1864, Haag-Streit Surgical GmbH microscope optics are still precision made in Germany and Switzerland by skilled optics craftsmen. The benefit to you with this unparalleled optical expertise are optics that provide you with an incredible view of your surgical field. We have access to the best 4K HD 2D and 3D cameras, recorders and monitors in the world. We can mount our cameras on any surgical microscope manufacturer and integrate, seamlessly, recording and monitor systems. To order online, please visit SHOP.CLAMEDICAL.COM. Haag-Streit Diagnostics is the gold standard in ophthalmic optics. We are pleased to distribute the Haag-Streit Lenstar optical biometer, their Slit Lamps and their Exam Lanes. To order online, please visit SHOP.CLAMEDICAL.COM.